Nagano has been in the Tri-Cities area for a long time. Until recent, they were affected by a fire that had crumbled down their building. But that was only temporary, they are back again! A couple of us visited for lunch on a Sunday afternoon after church. I was sad to find that their lunch menu was not in effect on Sunday’s. 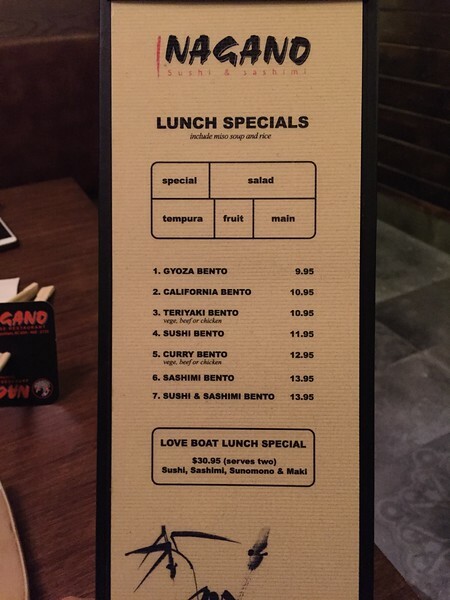 Even with their specials, Nagano is not your typical cheap Sushi joint. Over the years, they have built a customer base that keeps them running. Anyways, we ordered several things on their regular menu to share. The featured image was their seafood salad, dressing was on the side. 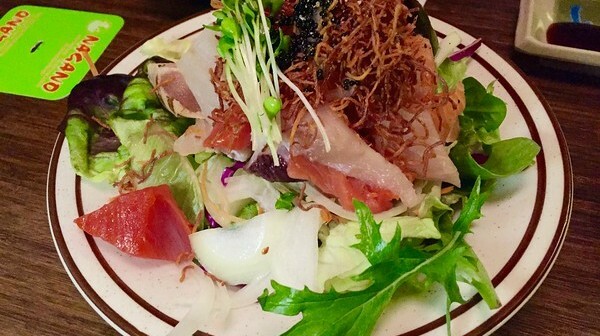 The salad was refreshing and had a variety of sashimi slices. Their dressing was quite different as it was a bit spicy. 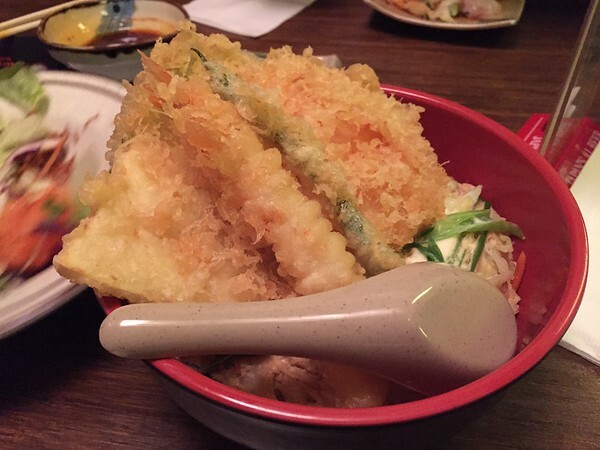 Assorted tempura with a large bowl of rice with sauce. The tempura was crispy on the out and tender inside. 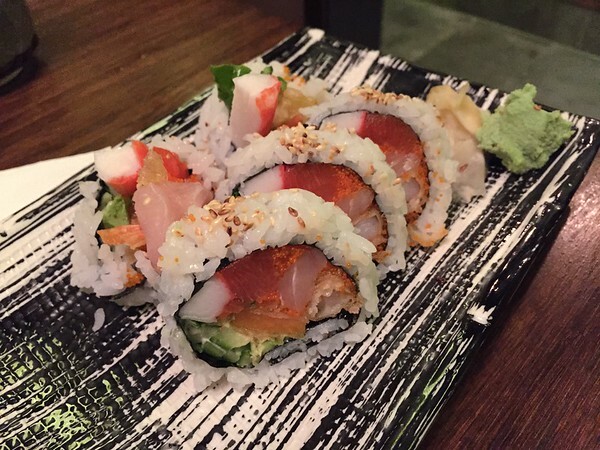 Their House Roll is filled with Tuna, Salmon, Crab meat, and deep fried prawns. 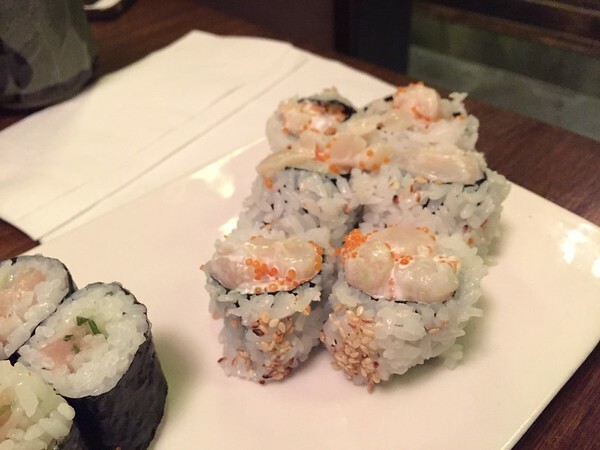 My favourite roll of all times, chopped scallop! The chopped scallop here did not disappoint. It was served 6 pieces here. Also known as, smashed tuna with green onions roll. The fattier the tuna, the faster it will melt in your mouth. I would rate this as half fat because it didn’t quite melt in my mouth. One of the better yaki soba’s I’ve had in Vancouver. 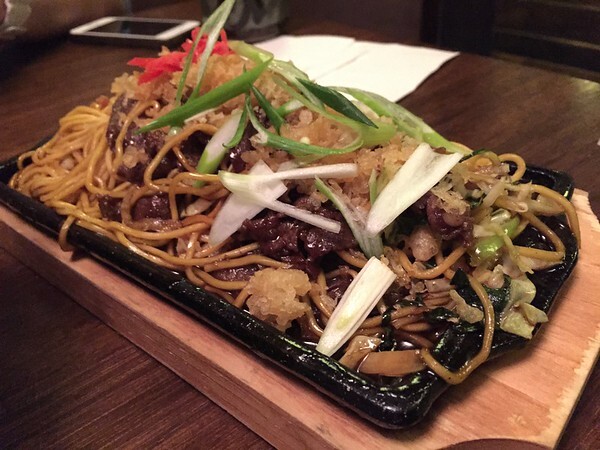 For those who are not familiar with the term “Yaki Soba”, it’s a Japanese thick egg noodle. This served in a savoury sweet & sour sauce. The noodles were cooked to a perfect tenderness. You can pick from chicken/beef/veggies. This was delicious! 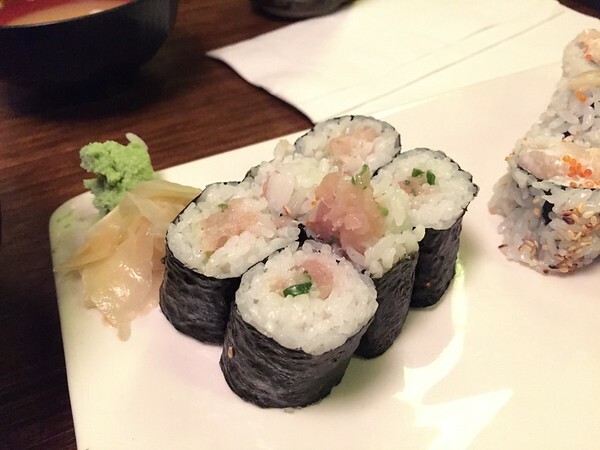 Overall, it’s great to have Nagano back as another Sushi restaurant in the Tri-Cities area. Food was great. However, be prepared to pay a little extra for what’s in Coquitlam. Service is probably the thing they’ve got to work on. The place is widely spread out. We were in one of the rooms down the hall and it’s merely impossible to waive down a server for any types of service. That being said, if you want privacy, this place has it all!